Wholesale used clothing goes through a rigorous process of sorting and grading, and it’s a time-consuming task that’s of the utmost importance. Before all those mixed rags, credential clothing, and more can be resold and start the second stage of their life sparking joy in a new person, they need to go through quality control. 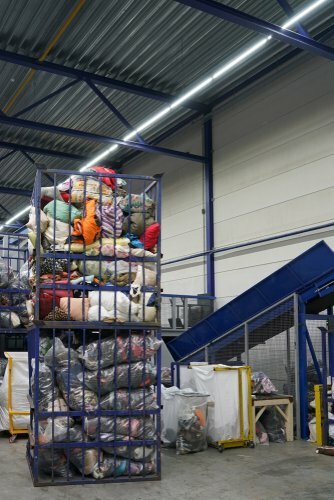 All the items need to be separated into different categories, so let’s dive deeper into this process and see how wholesale used clothes are sorted and graded. Vintage clothing is usually of the highest quality and greatly sought after, especially in South America, Asia, Europe and the Middle East. At Bank & Vogue, we buy and sell a wide variety of vintage and retro items, starting from men’s and women’s clothing, to accessories, shoes, bags, and more, all coming from somewhere between the ‘20s and ‘90s. Some of that goes to our partners at Beyond Retro, vintage chic retailers in the UK & Sweden. Credential clothing is another category that deals with products of good quality. Items in this category are usually in their original condition, the donations are untouched and unopened, staying in the same state that they were in once we got them. The items are unsorted, however in case there are any hard items or lotions or liquids that could potentially damage the goods, they’re removed from the bags. All the shoes, hats, purses, and other accessories are left with the load. The final category is mixed rags. These are the items that have usually gone through thrift stores or second-hand retailers but were deemed unsellable. The reason for this being that either the items are unsuitable for the store, or they simply haven’t been sold for a longer period of time. The retailers have already sorted out the goods, meaning that the items in the mixed rags category are deemed to be in a usable condition. Grading mixed rags, vintage clothing, and unsorted credential clothing is a bit of a different process. 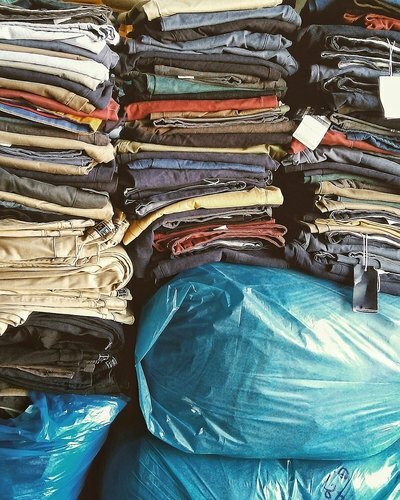 Unsorted clothing is, well, unsorted. Since it’s left in the original condition, it’s not graded. As far as the others are concerned, their grading depends on the quality of the items, and different countries and different markets can have varying scales for grading. Typically, the grades usually go either from Grade A, Grade B, C, etc., with A being the highest quality; or the clothes would be graded by number, 1, 2, 3, etc., with 1 being the best. Grade A items are usually brand new and unused. They have no visible faults or stains and are sold at a higher price. Grade B items are often used but remain in good condition. Whatever the grade of the items, they’re all still deemed usable and wearable. Those that are deemed to be unusable are not fit for resale, so they’re usually recycled to be used as rags or they get shredded. How Can Bank & Vogue Help You? Bank & Vogue is a major industry presence in the buying, selling and global logistics of wholesale used clothing and goods. 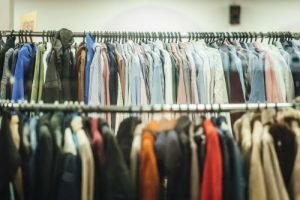 If you are looking to buy or sell used credential clothing, mixed rags or vintage clothing in bulk, contact us today to find out how we can help you.